“The Winds of Winter” is long overdue and there is no question about that. It was supposed to be released several years ago but it is 2019 now and it is still nowhere in sight. Will George RR Martin be able to finish the book after six broken promises? Based on his recent update about “The Winds of Winter,” the author promised that he would finish the novel. He also mentioned that he knows this is what his fans are waiting so he will focus on it now. However, could the fans trust him again this time? 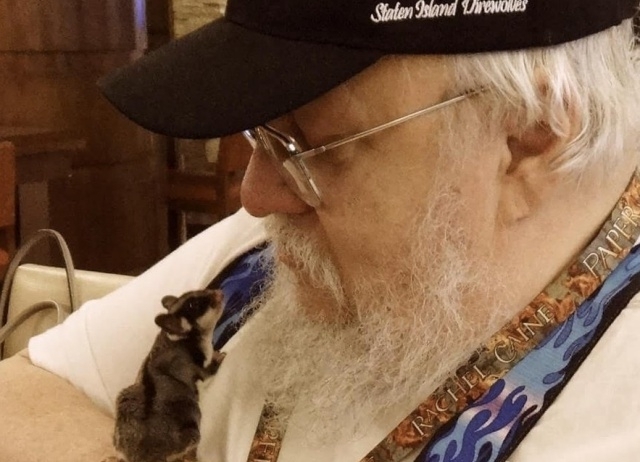 In an effort to make fans believe him one more time, George RR Martin admitted that he is having a hard time completing “The Winds of Winter” and he seems to be asking everyone to bear with him. And fortunately, fans had a renewed hope and continued to wait. The author previously hinted that “The Winds of Winter” will have 1,500 pages and the last book “A Dance With Dragons” will have the same number as well. If this is true then, Martin is just halfway finished at this time. In any case, while “The Winds of Winter” has no actual release date yet, the fans of the “A Song of Ice and Fire” book series can look forward to the finale of “Game of Thrones” first. It will air in April and this should not be missed!